Mystic, CT Exit 90: It’s the inaugural Mystic River Day, a day celebrating the Mystic River Community. 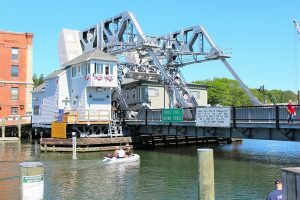 This entry was posted in Connecticut, Entertainment, exhibition, Food, Fun, History, Kids, Museum, Nature, Special Event, Sports and tagged activity, animal, bars, children, community, Connecticut, course, dock, Downtown, drawbridge, encounter, game, green, Happy Hour, Harbor. lighthouse, History, inaugural, kayak, local, Long Island Sound, marine, mermaid, meter, Mystic, Mystic River, Mystic River Day, Mystic Seaport, New England, non-profit, park, photo, photo op, race, Restaurant, restored, river, seaport, Sharkfest, ship, shipbuilding, shop, SUP, swim, swimmer, village, whaling. Bookmark the permalink.